Pete Turner is one of the UK’s top specialist guitar builders. 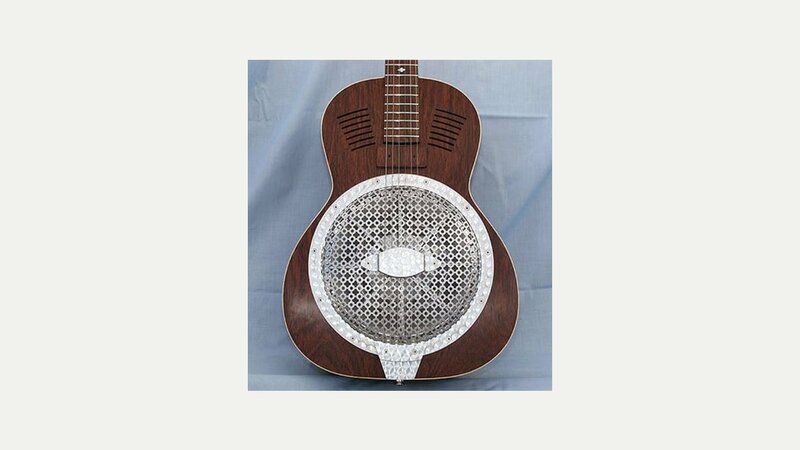 Well known for his range of hand built Resonator guitars, he also makes electric and acoustic guitars to order. As a left-handed guitar player Pete Turner was frustrated at the lack of choice available in acoustic guitars so he decided to make his own. His thoughts then turned to the resonator – why was it viewed as secondary to the acoustic guitar? Although spider and cone technology had moved on, no-one seemed to be addressing the quality issue of the body itself, or considering how attention to design could affect and improve the sound. After all, speaker manufacturers carefully design and match their speakers to the cabinet; they don’t spend time engineering the best cones to shove them in a tea-crate! Pete examined the construction of the resonator with an engineer’s eye. Over the next few months he developed the Marrakech – using his acoustic design as a platform, selecting woods for their tonal quality and even experimenting in manufacturing his own spiders. The result is a marriage of quality of materials with a redesigned internal structure to produce a truly new and original resonator. Every hand built guitar is crafted of carefully selected woods – and each is solid wood, no veneers! He is constantly on the look-out for unusual and beautiful sets – such as 5000 year old bog oak. Similarly casting about unsuccessfully for a pickup to complement and enhance the Marrakech sound, Pete designed and built his own, the perfect complement. Many will know of Andy Warnock, a talented luthier who himself builds guitars, but is perhaps more well known as ‘fretter and setter up’ to the stars, with guitars winging their way to Kent from the States just to get that Andy touch. Andy had been setting up Pete’s acoustics but they identified an opportunity to bring their skills together and produce something truly special in the Marrakech. The aim is to offer each customer an instrument that is as unique as the person that plays it.